Maple Leaf is a local family run landscaping and light excavation company. Specializing in landscape design and construction. Qualified paver and certified wall installer. American Beauty Landscape Design is an industry leader providing innovative, creative, individual designs; that are meticulously installed. Our experienced team of professionals implements the finest installation techniques while following the manufacturer's installation specifications and to uphold the best horticultural practices. We offer full service maintenance programs to care and nurture your landscape plants and lawn areas after the job is completed. We are well diversified involved in every aspect of hardscape construction and operate as a single resource, offering our clients one contractor for every aspect of there project. American Beauty Landscape Design is a family run landscape contracting firm established in 1973. We started as a lawn maintenance firm based in Paramus working out of a one car garage. We were incorporated in 1985 as American Beauty Landscape Design Inc. We have one location in Paramus and a second in Rochelle Park and are using the same home phone number from 1973! Lake Norman Long Island Excavating is a full service Exacvation, Demolition, Land Grading & Leveling, Landclearing & Landscaping contractor. We have been proudly serving all of Suffolk & Nassau County, Long Island since 1996. Our business has earned us a reputation for being one of the leading commercial and residential excavating and landscaping contractors on Long Island and the surrounding areas. We consistently provide exceptional quality and service to every job we do, second to none. From the moment you contact us, your needs will be met with the utmost professionalism and speed. We'll address your job one at a time. At Lake Norman Long Island Excavating, we take pride in our work and will treat your property like it’s our own. On every project that we are hired to do, it is our concern and duty to keep our workers safe and your property free from potential hazards. We operate our business with multi-million dollar insurance policies to keep all parties involved protected. Lake Norman Long Island Excavating is fully licensed and insured, including having worker's compensation for any size job. Solicito and Son Contracting Corp. is owned and operated by Joseph Solicito. Joe began his landscaping career mowing lawns in high school. Over the last 30 years he has used his experience and knowledge to expand his business to include commercial and residential landscape design and installation, custom masonry, and landscape maintenance services. He is licensed and insured in New York, New Jersey, and Connecticut and is a Certified Pesticide Applicator. 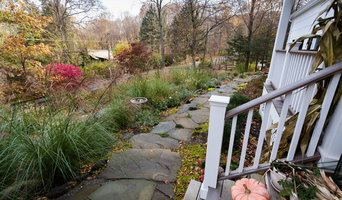 Masseo Landscape Inc. has been serving New Paltz and the surrounding communities for 15 years. Owner and president Mar Masseo is a born and raised New Paltz native committed to making the area more beautiful, one back yard at a time. We specialize in hardscape design and installation, drainage and stormwater management, and outdoor lighting. We believe in sustainable, quality landscaping. Our passion is providing clients with landscaping solutions that match their needs and their tastes. 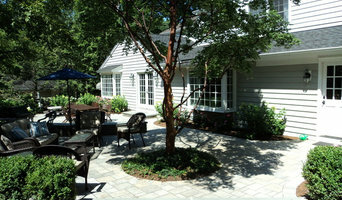 Landscape Dynamix is a nationally recognized, award-winning, full-service landscape design company in NJ. We offer landscaping services in northern New Jersey from site design plans by one of our design professionals, to yearly organic lawn fertilization and maintenance programs, to custom masonry. *Belgard Authorized Contractor* Joe Finizio & Sons Landscape Contractors is a family owned and operated, full service Bergen County landscape design/build firm with over 35 years of experience and expertise. Our team is led by certified landscape technician, Joe Finizio, formally of Landscape Perceptions. From the inception of your project, our team will go above and beyond to meet, exceed, and conquer all your wants and needs as a homeowner. We combine the arts of hardscape and softscape to create everlasting, spectacular landscapes. With several highly skilled landscape technicians on staff, and an owner on site, we are confident that we can create a backyard oasis for you and your family to enjoy for a lifetime. We at Joe Finizio & Sons Landscape Contractors pride ourselves on being professional, punctual, and creative-minded landscape artisans who will turn our customers dreams into reality. In business over 35 years DiLuna Landscaping has been beautifying Westchester County homes with professional landscape and masonry. We offer meticulous attention to your property with services including: planting, masonry work, lawn maintenance, patios and walkways, fieldstone retaining walls, gardening and snowplowing. 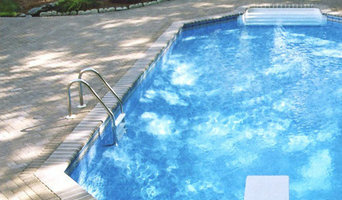 We are a full service landscape design, installation, and maintenance firm that prides itself on our attention to detail and dedication to client satisfaction.From basic weekly lawn and landscape maintenance to high end design and install work such as pools, outdoor kitchens, outdoor living spaces, water features. 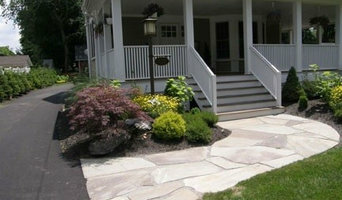 The possibilities for transforming your landscape are endless at Curb Appeal Landscape Contractors. No job is too big or too small and every single job gets the same high quality attention to detail regardless of project size. We are in the business of creating beautiful landscapes, one yard at a time.